A new group of grinders look to climb the ranks of Spain's Top 10. 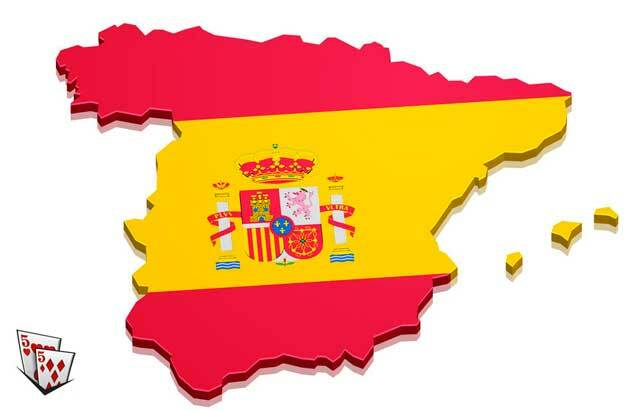 There’s a proud contingency of top-tier poker players that have their roots in the country of Spain. One of the most well known live poker players in the world, former World Series of Poker Main Event Champion Carlos ‘The Matador’ Mortensen, helped put the Kingdom on the map in the world of poker. Nowadays, the game thrives there and he’s joined by a whole host of big-time talent that continues to elevate the game in Spain including high-roller Sergio Aido, World Series of Poker Europe Champion Marti Roca de Torres, Leo Margets and, of course, the Global Poker Index’s #1-ranked player in 2017 Adrian Mateos. The young Mateos is more than a national phenom for Spain, he’s ranked #1 on Spain’s All-Time Money list and #30 in on the All-Time List. He was the youngest ever to win three World Series of Poker bracelets and he captured the title during the European Poker Tour’s Season 11 Grand Final. However, in addition to all of Mateos’ live results, he’s also a prolific online player. Now, with Spain having moved forward with sharing player pool liquidity with France, Portugal, and Italy, there’s an emerging crop of players who would love nothing more than to follow in Mateo’s footsteps. ‘cuquejo25’ stands as the current #1 ranked online player in Spain. He shot up the rankings thanks in part to a hot start to 2018 that has seen him accumulate eight podium finishes, with four of them outright wins, that brought in over $5,000. Right on his heels though is the #2 ranked Spaniard, ‘Neowaca’. A relatively new PocketFiver, ‘Neowaca’ sits just shy of 220 PLB points from taking the pole position on this list. All he would need to do is repeat a performance like when he took down the PokerStars.ES $12 El Clasico for $5,878 and 144.87 PLB points in September of 2017 to truly make a run at the top spot. Sitting just inside the top 2000 players in the world is Spain’s #3 ranked grinder, ‘timote203’. Hailing from the city of Caceres, he recently eclipsed over $250,000 in lifetime earnings. In the first week of February, he earned his highest PLB point total for the period with a final table finish in PokerStars.ES FRESH-26 for $2,748 and 123.30 PLB points. ‘joslopgon’ checks in at #4, as he makes a run at a major career milestone. The Andalusian is just over $10,000 shy of $400,000 in lifetime earnings. It won’t be long before he gets there should he continues to do as he did when he finished in fourth place in the 50 PokerStars Sunday Warm-Up for $4,270.42 on February 11. Closing out Spain’s top 5 is ‘craizyfinn’. The player from Palma has accumulated ten PLB qualified cashes since the start of 2018 and sits just over $16,000 shy of earning an official $250,000 in lifetime cashes badge. Both ‘iceman_xddd’ (#6) and Guillem ‘camelCase’ Ulltstre (#7) are in a position to breach the top 5 and they find themselves within 35 PLB points of each other and both less than 100 away from ‘craizyfinn’. Daniel ‘PKdani1989’ Martines Sanz is currently ranked #8. Sanz is a small stakes tournament grinder that is looking for more scores like his February 6 $565 on PokerStars.ES, to help him move up in stakes. ‘twister88’ (#9) and San Sebastian’s ‘jounas14’ complete the current crop of top 10 players out of Spain.